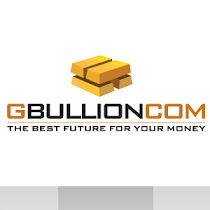 Official GBULLION Blog: In the Last 4 Years Gold Price has Gone up by 89%. Are We Set for Another 4 Years of Gold Appreciation? In the Last 4 Years Gold Price has Gone up by 89%. Are We Set for Another 4 Years of Gold Appreciation? “On the day of China’s auspicious [Olympic] opening ceremonies on August 8, 2008, gold was $857.80 an ounce” resource expert Frank Holmes begins. Now we find ourselves wondering, whether the appreciation of gold will remain as strong and the price will continue to rise, or whether it will take a break now and stay on the present $1600 level? Or even go down? Let us refer to the experts' opinion. According to World Gold Council, the global demnd in the second Quarter of 2012 was 990,o tonnes, which is by 7% lower compared to the second quarter of last year (2011). The dip in demand is mainly explained by the exceptioanlly strong demand last year, as well as by the challenging global economic climate in general. From this point of view, gold's "behavior" did not come as a surprice, it acted in line with the expectations as a "liquid" store of valu. In terms of value gold demand is rather stable: US$51.2 billion in Q2 2012 versus US$51.6 billion in Q2 2011. During the quarter, the average price of gold was US$1609.49 per ounce, 7% higher than the average for Q2 2011. What is verification? What is it for? What is the minimum and the maximum size of transaction allowed? Is there a fee for opening an account? Why should I choose GBULLION DMCC? How can I withdraw funds from my account? How can I add funds to my account? GBULLION DMCC. Simple theme. Theme images by friztin. Powered by Blogger.